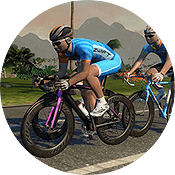 Your choice of bike frame influences your Zwift speed significantly. And Zwift’s recent release of the Drop Shop has given us access to a pile of new frames: 50 total including the Tron and TT bikes! We’ve already looked at which frames perform best on flat/mixed routes. The next question for racers is: what about climbing? These frames are the fastest up the Alpe, but that means they won’t be the fastest down or on flat sections since climbing frames are lightweight and less aero. So you’ll want to think through your strengths as a rider when choosing your frames and wheels for races. Each piece of equipment has unique weight and aerodynamic (CdA) values, making them perform in ways that mirror outdoor physics. Lighter items perform better on climbs, while more aerodynamic items perform better on the flats. Differences between options will also be magnified or minimized by your own power levels, drafting abilities, and more. Your best Zwift setup, more than ever, depends on your specific situation. Below you will find the 9 fastest draftable frames for climbing Alpe du Zwift. Why 9? Because that’s how many frames handily beat the Tron bike up the Alpe using any of our top-rated climbing wheelsets. That’s right… 9 different frames running any of 9 different wheelsets are now faster than the Tron bike. More on that below! This list is based on our recent speed tests of 100+ rides up Alpe du Zwift, a 12.2km, 8% monster of a climb which takes around 49 minutes to complete for our 75kg test rider at 300 watts steady. We tested all frames using the same power levels and rider weight, making it easy to spot which frames performed best. The Tarmac Pro is 2 seconds ahead of the Evo, putting it just barely in 1st place. Of course, the Tarmac is a favorite climber outdoors as well, so this makes sense. What doesn’t make sense is Zwift calling this the “Tarmac Pro” when it really behaves more like the S-Works Tarmac Ultralight! The Emonda used to be the fastest climber in game, but has been bumped a few spots with the release of the Drop Shop. Still, it climbs nice and quick. You’re going to take on the Everest Challenge anyway, so why not unlock a nice climber while you’re at it? 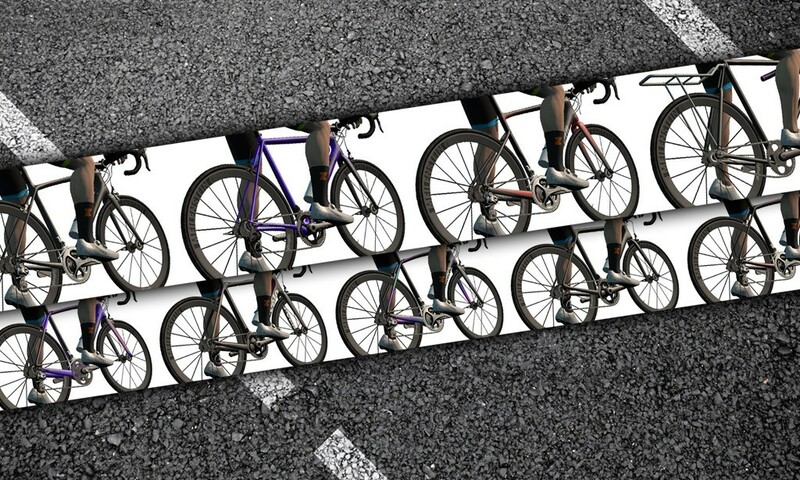 Both of these frames turned in essentially identical times up the Alpe as well as our flat/mixed course tests, so we’re putting them in a dead tie here. Maybe this is for the best, since the guys can ride the Canyon while the ladies ride the Amira (a woman’s bike) and enjoy its sweet paint job! A favorite outdoor bike for sure, the R5 is Cervelo’s climbing/racing rig and deserves its spot in this list. It’s 2 seconds faster than the Trek Emonda SL and Tarmac below. Both of these selections already have their namesakes higher up the list. So why another Emonda and Tarmac? Because both of these frames can beat the Tron bike up the Alpe, turning in times of 48:50. That seems like reason enough! The frames above are separated by 11 seconds on a climb up Alpe du Zwift at 300 watts with a 75kg rider using the Lightweight Meilenstein wheelset. The next fastest frames (Specialized Amira and Specialized Venge S-Works) are 3 seconds behind the slowest bike on our list above. What about the Tron Bike? This is the big question everyone is asking. Before the Drop Shop brought us a pile of new wheelsets and frames (as well as tweaked weights and CdA for existing equipment) the Tron bike was near the top of the climbing heap, with only the Trek Emonda and Specialized Tarmac able to beat it by a few seconds if they had the Lightweight Meilenstein wheels. Before the Drop Shop, the Tron’s time up the Alpe was 49:17 at 300 watts with a 75kg rider. Now its time is 48:59. So it actually got faster up the Alpe. But the Tron’s competition has also gotten faster. Now any bike frame on the list above can beat the Tron up the Alpe, using any wheelset on our list of top climbing wheelsets. This is big news for climbers–arguably the biggest change brought on by the Drop Shop’s arrival. There are now many fast climbing setups, and they are all faster than the Tron bike. That said, the Tron bike tied as fastest on flat/mixed routes. So riders will want to think through their options when it comes to which frame and wheelset to use on a route that includes any substantial climb. We think this is a wonderful development, bringing more strategy and planning into Zwift racing and variety in the peloton. We hope all you riders/racers found this post useful. Got questions or comments? Post below! 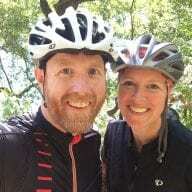 I’m going to drill out my chainring & crankset as well as take out a ball bearing in my hubs like we did back in the day. Surely you meant the Cervelo S5, not the R5, no? Nope. S5 is aero, R5 is light. I see that the Cannondale Evo made it into one of the top spots for climbing. This is excellent news !!! I’m an exclusive Cannondale user and that bike is a great climbing bicycle outdoors. I’m glad to see that it is good at climbing in Zwift also. Thank you Eric for all of your time and hard work doing these recent test. Very much appreciated. Just earned the Tron bike this week. Back in the garage it goes. Essentially, I’m curious what combination puts out the best performance for the fewest drops? Spreadsheet says Zwift Safety does Alpe in 48:47 when paired with basic 32mm wheels. With Meilensteins time is listed at 48:32. Or the Evo. It is about half the price of the Tarmac Pro and only 2 seconds slower. Would it be possible to make an average of how many time do we need to climb the AdZ to get the lightweight? Have you looked into how different rider weights and wattage affect equipment choice? ie if you are a lighter rider with less watts is one bike frame better than if you are a heavier rider that puts out more power? In the “fastest frames” you set the Speci Allez Sprint at #6, althoug the Venge at #8 is faster but the Sprint climbs better. Here you say, the Venge is just outside the list for best climbers, and no mention of the sprint. So is the Speci Venge the better Alrounder that the Allez Sprint? So the Allez Sprint seems a good Allrounder after all for rider below level 20 or so.